If you are looking to safely improve your overall mental performance, you have come to the right place. You can rest assured that our high quality and independent 3rd party tested nootropic supplements will help you meet your cognitive goals. 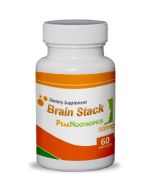 Enjoy your visit to our store and build your own personalized nootropic stack now, or buy one of our pre-measured stacks. Maybe you are you new to nootropics? The word, “Nootropic” is a very broad term describing a supplement or product that improves mental performance. There are several different groups of nootropics including herbal supplements and a class of research chemicals known as racetams. Peak Nootropics is the top quality source of nootropics online. Below are some of the many common benefits that may potentially be experienced with nootropic supplements. There are a many sources to buy nootropics online but not all of these sources have the best products or customer service. We excel in both of these areas and have the best quality memory supplements and research chemicals at great prices. Our raw material supplier is a large producer of dietary supplements and pharmaceutical products worldwide. The great bulk prices we get from them allow us to provide quality at a great price. Our products are tested at independent 3rd party laboratories both for purity and for trace contamination. So while our products are not always the cheapest, they are the most competitively priced products meeting those quality measures. 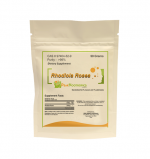 People are usually very skeptical before trying nootropics. But nootropics have been around for a long time. Based on a variety of research studies, some nootropics may actually help protect the brain. Studies have also shown some nootropics to reduce free radicals and oxidative stress within the brain. With this said, you should not self-medicate yourself with either herbal supplements or research chemicals without speaking to your doctor before use. Minor side effects are possible when taking nootropics. It is always recommended to start with lower quantities to minimize these risks. If you are pregnant or breastfeeding do not take nootropics and if you are on medication always consult a doctor before use. Racetams in particular act on the Glutamate receptors in the brain. There are two types of Glutamate receptors, AMPA and NDMA. Glutamate, an important neurotransmitter, binds to these receptor sites and assists in learning and memory formation as well as muscle coordination and other important neurological functions. Other nootropics and some racetams act on Cholingeric receptors which bind to Acetylcholine. Acetylcholine is another important neurotransmitter involved in cognitive function. The Acetylcholine binding process causes increased alertness and sensory perception. Sulbutiamine works differently than the racetams. Sulbutimaine, a Vitamin B1 derivative, works to increase the bio-synthesis of Actelycholine. It has been touted as a very powerful nootropic and mood booster by its proponents. Choline is essential for the body to stay healthy. Deficiency in choline can cause serious physical and mental problems. It is reported that 90% of the population is deficient in choline and most don’t even known it. Common dietary sources of choline in food are eggs and fatty meats. Choline is very important for cognitive function because it is a precursor to Acteylcholine. Your body needs enough choline to convert into Acteylcholine to keep your brain healthy. For this reason, choline supplements are often considered great nootropics, even by themselves. CDP-Choline and Alpha GPC are the best sources for supplemental Choline. Choline works best when stacked with nootropics. Stacking choline with a nootropic can also help prevent or reduce side effects. Often, people find that they get headaches when they take nootropics by themselves and that stacking them with choline helps reduce this problem. It is usually suggested to stack nootropics with a choline source, especially if you do not get enough from your diet. Many college and university students are choosing to use smart drugs to help them in school. People often confuse nootropics with smart drugs but this is false. Smart drugs usually refer to the class of prescription ADHD drugs that are often used illegally and at a high risk to the user. Choosing to take smart drugs is not an effective or long term solution. Smart drugs may help you study faster or keep you awake longer, but they are not your best option. Most of the ADHD medications are based on an amphetamine structure and they are not healthy for your heart or your liver. Also, by taking smart drugs, you are putting yourself at considerable risk for addiction to these substances. Nootropics on the other hand, are generally safe, and if used properly, can be effective for assisting memory and concentration. There are just safer and more available options across the spectrum of nootropics. Check out our store to see all the quality products we carry. 226 queries in 2.182 seconds.